Learning about Bear Market Tactics is clearly a topic of considerable interest judging from yesterday’s outstanding attendance and participation in our International Online User Group Forum. Thanks to everyone who attended for another enjoyable and productive meeting. CLICK HERE TO GET A REPLAY OF SATURDAY’S FORUM. Note: As always, extra caution is advised when trading leveraged ETFs. It’s a good idea to review my essay of Jan 2, for three rules for trading inverse or contra ETFs. Our Color Guard review of VectorVest’s markets around the world showed a strong rebound in January so far after a dismal second half of 2018. 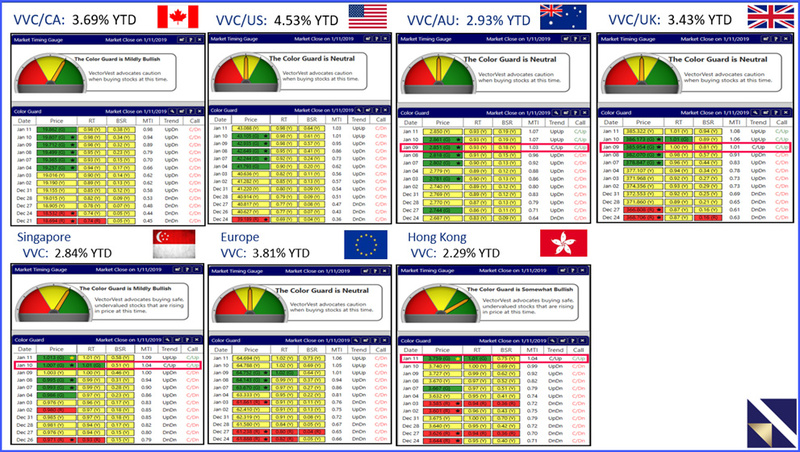 The VVC/US leads the way with a 4.53% gain YTD followed by VVC/Europe, 3.81%; VVC/Canada 3.69% and VVC/UK, 3.43%. Australia, UK, Singapore and Hong Kong all are in Confirmed Up Calls with Canada, US and Europe closing in. Click or tap image to enlarge. Our Quick Poll Saturday revealed 75% of investors and traders are Cautious about 2019 while only 15% are Bullish and 10% are Bearish. 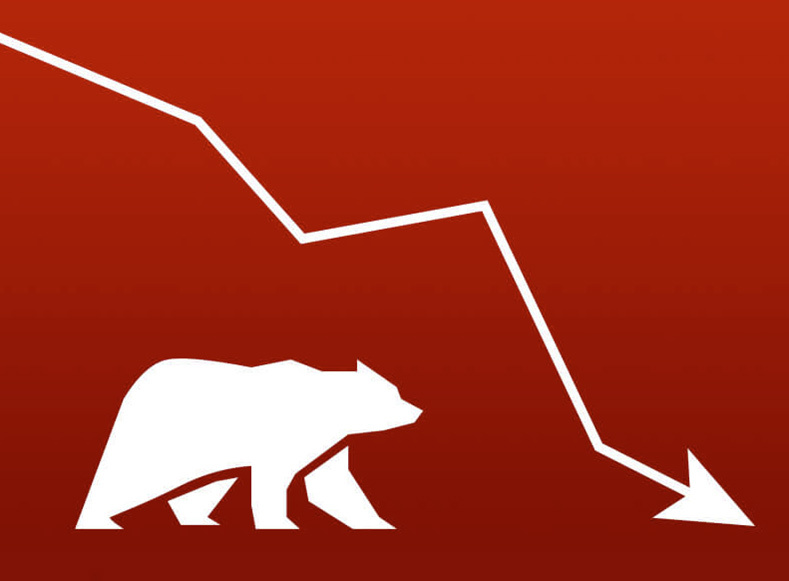 In keeping with our theme of Bear Market Tactics, my presentation of 7 Investor’s Tips to Survive and Thrive in a Bear Market was timely and well received. Our Quick Poll showed 34% of investors and traders are using VectorVest’s DEW timing signal to enter the markets. Next was the Primary Wave, 22%; Green Light Buyer, 21%; Confirmed Calls, 16%; and, RT Kicker Combo, 7%. “Fantastic Presentation. Time well spent on a Saturday morning.” — Christine P.
“Thanks much…love these Saturday presentations…soooo useful!” — Richard J. My thanks again to Robert Blohm for his time and willingness to share a terrific presentation, to Manny Faial, VectorVest Instructor, for joining us and answering so many of your questions in the background, and, of course, special thanks to everyone who was able to participate in the live event and those who look forward to the recording. Thank you for making our Forum’s so great!